Where has the time gone? My favorite time of year is fall, not just because of the cooler weather we get here in Texas, but for the fall food. Fall is a time to savor those cozy dinner recipes, warm casseroles, hearty soups, and delectable pumpkin desserts! My favorite pumpkin bread recipe of all time is Eddie's Autumn Pumpkin Bread with Pecan Streusel Topping. 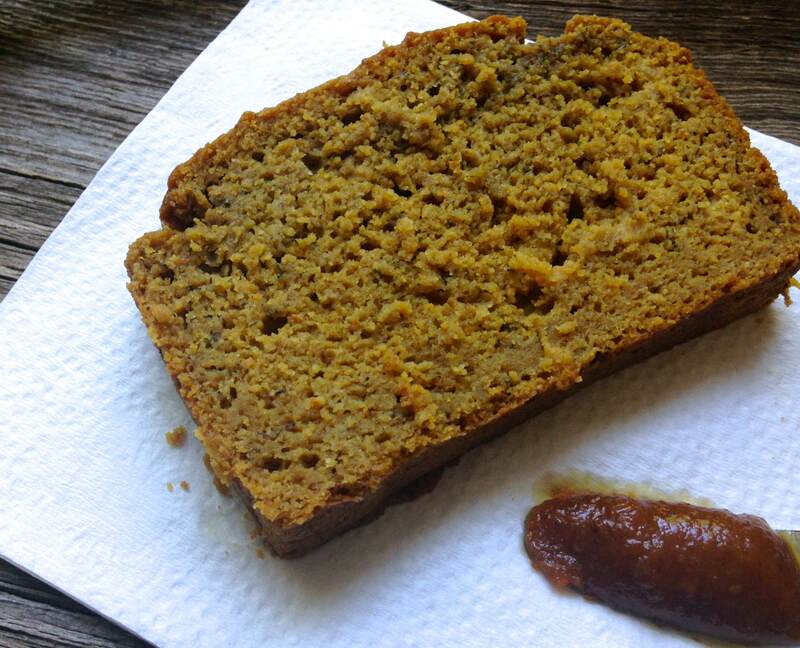 While it is an excellent pumpkin bread, the recipe here for Pumpkin Banilla bread is not too far behind. 🙂 My mom and I recently bought Jessica Merchant's first cookbook titled "Seriously Delish". Merchant, creator of the highly popular food blog that I love reading: How Sweet Eats, creates imaginative recipes that are both delicious and original. One of those recipes includes this innovative pumpkin banilla bread. 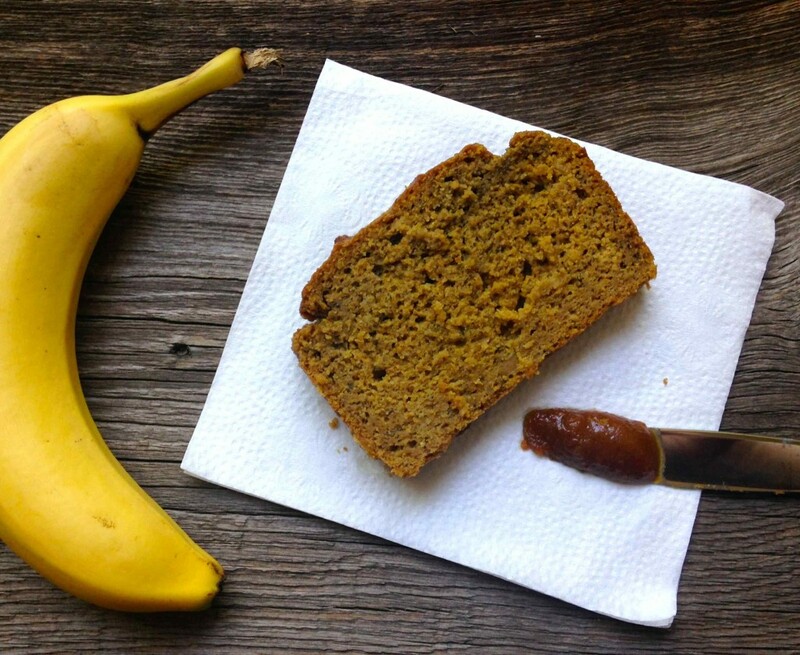 I never in my wildest dreams would have though to combine pumpkin bread with banana bread, but it winning combination and perfect for fall! I have to give credit to my mom and sister to who baked this bread. I haven't quite been in the mood to cook since being pregnant and all. 🙂 This bread is especially delicious if you add a dollop of Williams-Sonoma Pecan Pumpkin Butter. The grocery store brand just won't cut it for me, so every October I'll go and spurge at William-Sonoma. 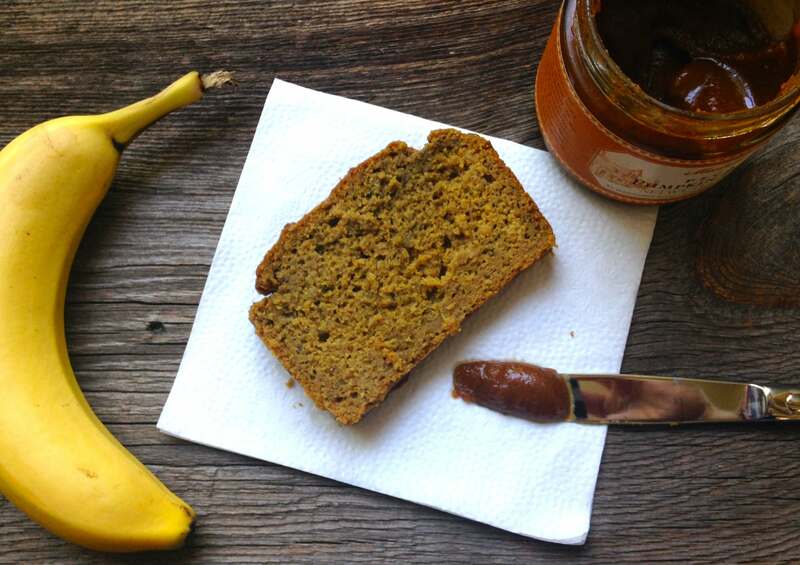 If you're a quick bread lover, you should love the ripe bananas, classic pumpkin spice, and premium vanilla bean paste in this tasty bread. Enjoy! Preheat oven to 350 degrees F. Spray a 5 x 9-inch loaf pan with nonstick spray. In a small bowl, whisk together the flour, baking soda, pumpkin pie spice, and salt. Set aside. In a large bowl, whisk together the eggs and brown sugar until smooth. Stir in the pumpkin puree and bananas and mix until combined. Stir in the coconut milk, butter, molasses, and vanilla bean paste. Mix until the ingredients come together. Add the flour mixture to the wet ingredients and mix until just combined. Pour the batter into the loaf pan. Bake until the top of the bread is golden brown and set, 85 to 90 minutes. Remove the bread from the oven and let cool for 1 hour. Remove the bread from the loaf pan and allow to cool on a cutting board before slicing.